Xiaomi Redmi Note 5A is the wonder device of the entry-level category. Call it the Redmi Y1 or Redmi 5A or Redmi Note 5A they’re essentially the same hardware package. They’re only named differently based on regions. In India, it is called Redmi Y1 while globally it is called Redmi Note 5A. In China, it is called Redmi Note 5A Prime. It is among a few devices that bring great value at a very low price. Although you might not be dissatisfied with the hardware you bought, the same can’t be said for the software of the two phones. Redmi Note 5A runs on MIUI based on Android Nougat which is kind of a mixed bag and isn’t liked by some. If you want another ROM running on your Redmi Note 5A or any other customization you will have to root your device. 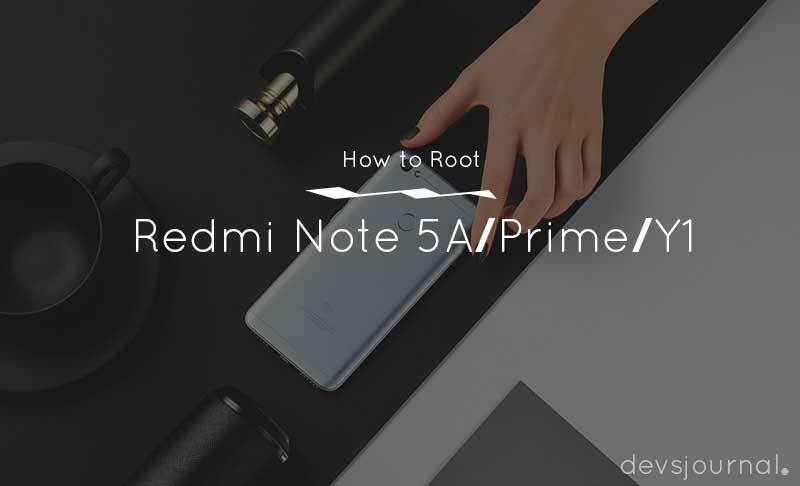 Here, we’ve written a guide to take you through the step-by-step procedure to root the Redmi Note 5A. In order to root your device, you’ll have to unlock bootloader and flash TWRP. We’ll write down the step by step procedures for all three steps. First of all, you’ll need to unlock the bootloader. Without it, you won’t be able to install TWRP recovery. And without TWRP, you won’t be able to flash custom ROMs. Note: Also, do a full back up of your phone at this point and keep it safe. This is important. Step 1. Go to MiUnlock and hit the “Unlock Now” button. 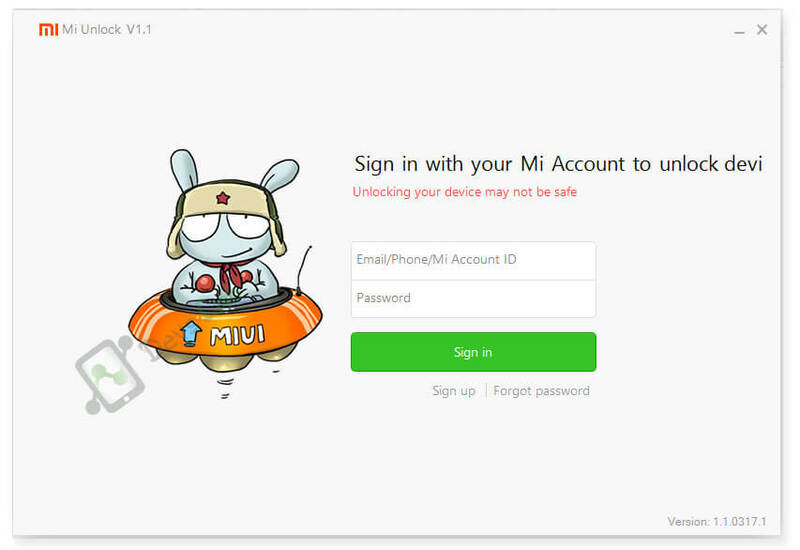 You’ll need an Mi ID to log into the account on the next page and also your phone number. 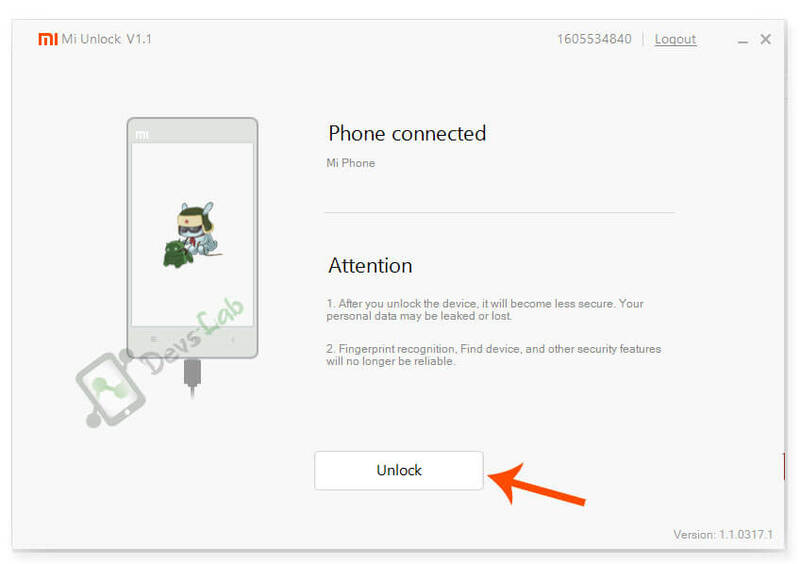 Your unlock request will be approved via SMS and you will be directed to download the Mi Unlock tool. Step 2. Use the same Mi account on your Redmi Note 5A. Step 3. 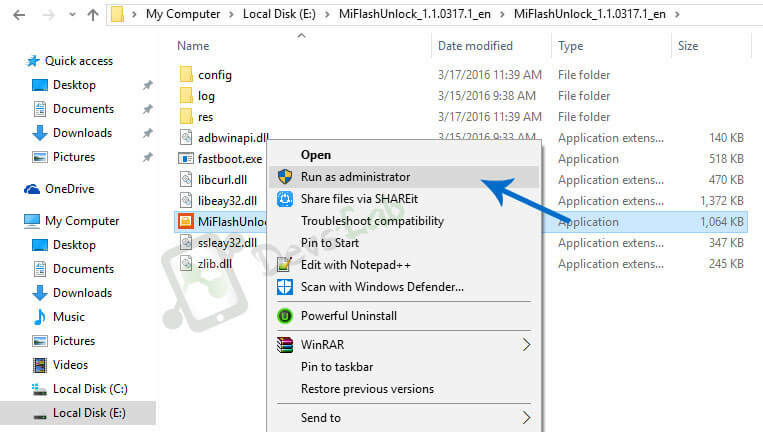 Then extract the Mi Unlock tool to a folder and open the “MiFlashUnlock.exe” file in that folder as administrator. Step 4. 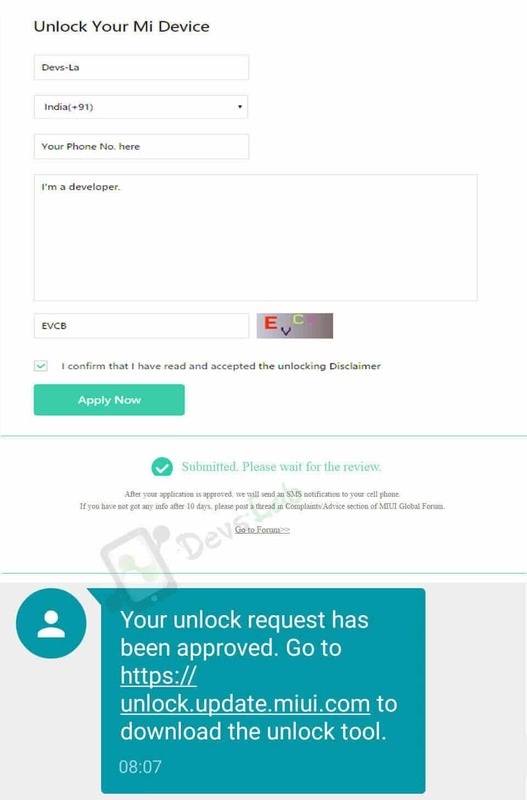 After opening, enter the same credentials in the Mi Unlock app as well. After that, the app will check if your account has unlock permissions. Step 6. Now connect your phone to the PC using USB cable and then click on Unlock in Mi Unlock tool. The remaining process will be handled by the application itself. Finally, it will display “Unlock successful” message. This means your phone is now unlocked and you can head on to the other step i.e. to install TWRP on your phone. Installing TWRP isn’t a tedious process if you have the ADB and Fastboot drivers setup. Step 1. First of all, download (if you haven’t already) and place the ADB fastboot tool by extracting it in a folder. Now download the TWRP image for your respective device linked above and put it in the same folder where ADB fastboot tool is extracted. Step 2 . Now enable USB debugging on your phone. (Settings > About Device > Tap on Build Number 7 times. Return to Settings > Developer options > Enable USB Debugging). Now connect your Redmi Note 5A to the PC. Step 3 . Open the Command.bat file in the ADB folder and type “adb devices” command to verify successful connection. Step 4 . Now type “adb reboot bootloader” command to boot the device in fastboot mode. Step 5 . And finally, enter the command “fastboot flash recovery” to finish TWRP setup. That’s it. Now you have a custom TWRP recovery installed, you are now in complete control of your device. With this, we reach our final and last step which is to root Redmi Note 5A/5A Prime. For this, we will be using SuperSu. It’s pretty easy to root your device using SuperSU. All you have to do is flash the file with TWRP. Take a glance at the steps below. Download the latest SuperSU file and transfer it to your Redmi Note 5A/5A Prime internal memory. Turn it off and boot it in recovery mode by pressing and holding Vol Up and power button at the same time. Once you enter TWRP interface, navigate to the SuperSU file and flash it. After flashing, just clear cache and Dalvik cache of your phone via TWRP and reboot your device. That’s it, guys. This should help you on your way to customize your Redmi Note 5A or Redmi Y1. Let us know what kind of customizations you have planned for your phone. And did the rooting process go well? Message us in the comments below.